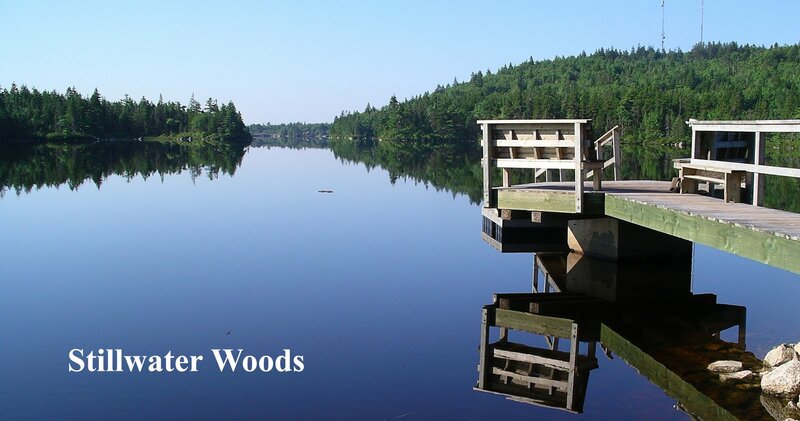 THE town of Essex, in Ontario, was, some months ago, a thriving little place of some two thousand five hundred population. At present, however, it is recovering from a fearful catastrophe which befell it on August 10th, 1907, when some five thousand pounds of nitro-glycerine and dynamite, packed in a freight-car standing on a siding, exploded, by some means unknown. The town was practically wrecked, but, wonderful to relate, in spite of the fact that stout buildings were torn to shreds and the very earth shook, only two men were killed outright; many people were injured, however, and countless miraculous escapes were recorded. The damage was estimated at two hundred thousand dollars. The nitro-glycerine, it is thought, dripped upon the rails and was exploded when the car was moved. The car, it is further alleged, was not properly labelled or of the special construction required by the Canadian explosives laws. 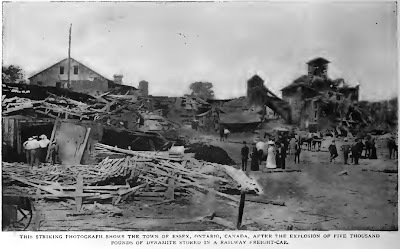 The striking picture here reproduced shows the wrecked town just after the explosion. Labels: 1907, essex, Ontario, wide world magazine.